How do I create a Multiple Choice assessment question in Gauge? When creating an assessment, you can create a Multiple Choice question in Gauge. To create a question with multiple correct answers, create a Multiple Answer question. 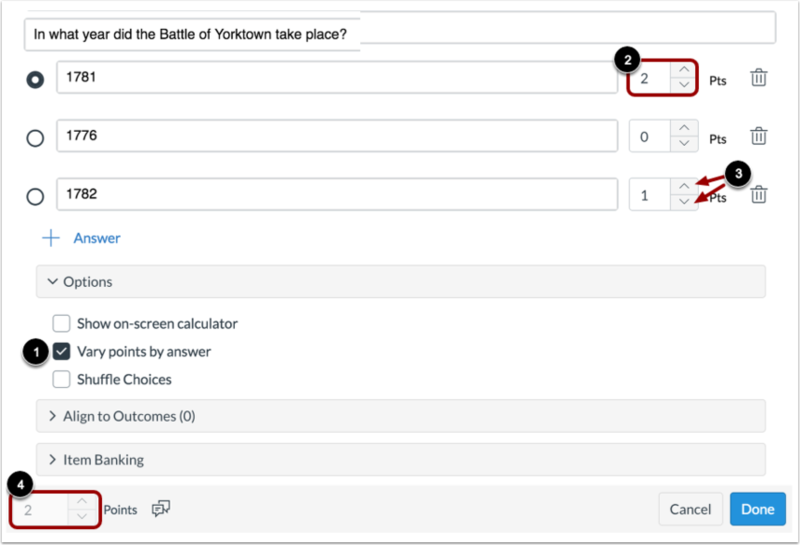 To create a question, click the Add button anywhere in your assessment. Click the Add Multiple Choice button. In the Question Stem field , add a question stem. The question stem contains the question and, if necessary, additional instructions and information. You can use the Rich Content Editor to format and add content to your question stem. 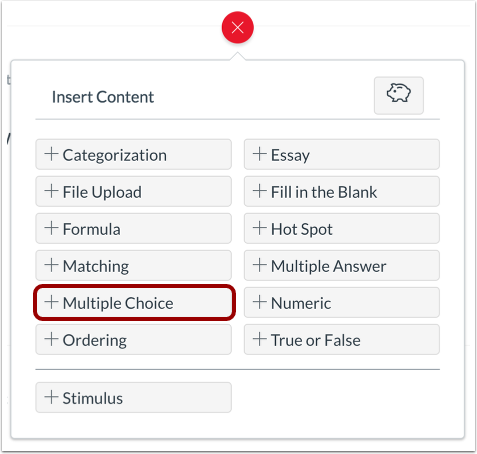 To add answers to a Multiple Choice question, type the answers in the Answer fields . To select the correct answer, click the button next to that answer . To add an additional answer choice, click the Add Answer link . To delete an answer, click the Delete icon . If you select this option, you can choose either a basic calculator  or scientific calculator . The basic calculator displays numbers and basic math functions (add, subtract, multiply, divide). The scientific calculator displays more options for advanced calculations. 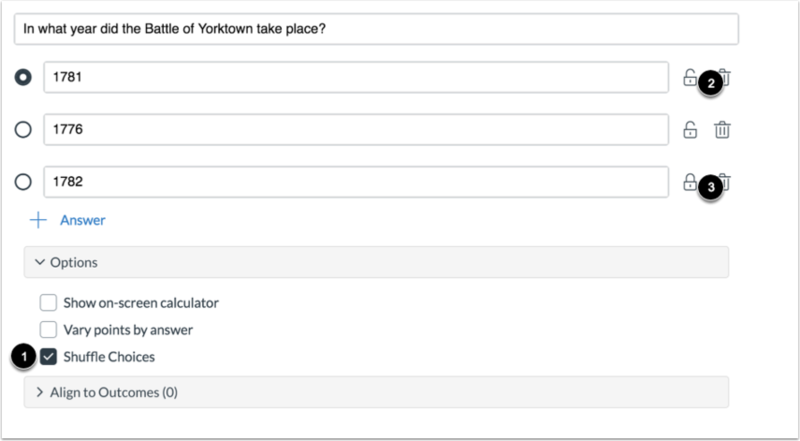 To vary points based on student responses, click the Vary points by answer checkbox . With this option selected, you can set specific point totals for each option by typing the point value in the Points field  or using the arrows to increase or decrease the point value . When this option is enabled, the total points will display the highest point value possible for an answer . To shuffle answer choices, click the Shuffle Choices checkbox . By default, all answer choices are shuffled and display as unlocked. To lock an answer in its location, click the Lock icon . To unlock a locked question, click the Unlock icon . If you want to save a question to use in other assessments, you can add it to an item bank. Note: The total point value cannot be adjusted by the Vary points by answer option is enabled. Previous Topic:How do I create a Multiple Answer assessment question in Gauge? Next Topic:How do I create a Numeric assessment question in Gauge? Table of Contents > Admins & Teachers > How do I create a Multiple Choice assessment question in Gauge?